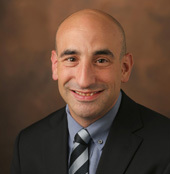 Vanderbilt’s Bradley Malin, Ph.D., has been appointed to the Technical Anonymization Group, recently established by the European Medicines Agency to advise it regarding best practices for the anonymization of patient information used in research. The European Medicines Agency is a European Union agency for the evaluation of drugs and other medical products. To support patient privacy and dissemination of research data, the agency has adopted policies for the publication of clinical data gathered in medical products research. Malin is professor of Biomedical Informatics and Computer Science and associate professor of Biostatistics, vice chair for research in the department of Biomedical Informatics, and founder and director of the Health Information Privacy Laboratory. He co-directs the Health Data Science Center, the Center for Genetic Privacy and Identity in Community Settings, and the Big Biomedical Data Science Ph.D. program.